TikTok it’s a social media app that enables users to film short videos of themselves lip-syncing to songs or comedy sketches. They can share these 60 second short videos with friends, family or the entire world. Currently, the app is available in 34 languages with 150 million active users. The innovative short-form video app used to be known as Musicl.ly, which merged with TikTok in August 2018. Three months later and TikTok achieved six million downloads, with more than 500 million active users across 150 countries. Moreover, in September 2018, it beat Facebook, Instagram and Snapchat. Once you download the app, you can instantly see the videos that others have posted on the channel but are not able to share or post anything until you have set up your own account. 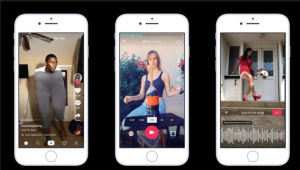 TikTok users can choose from a catalogue of music videos and comedy dialogue to lip synch to. After the users record their video, which can be anywhere between 15 and 60 seconds, they can then share it directly with other users or post it straight to Instagram or Snapchat. How To Create a TikTok Account? Once you have selected an option, you have to enter your date of birth if is below the age of 13, the app displays the following message: “Sorry, looks like you’re not eligible for TikTok. But thanks for checking us out!” 13 is the minimum age according to TikTok’s terms and conditions. Your feed features what is going on in your community and a separate ‘For you’ feed shows any recommendations for you. Why Do Teens Love the TikTok App? Teens see it as a way to express themselves and create short-form video clips to gain a following and build a community around their passions. Very similar concept as Instagram. It also shows some great special effects that users can apply to their videos to make them more unique. You can also re-post the content on other platforms to share it with more people. Seeing inappropriate content: Inappropriate language of some of the video posted which may make this less suitable for younger children. Contact from strangers: Predators seeking to connect with children is another risk. 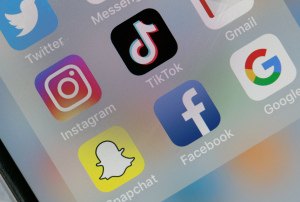 Children’s charity Barnardo’s has warned how children as young as eight risk being sexually exploited on TikTok and other similar sites. And it is really important to know that without the right security settings, children broadcasting live video of themselves over the internet could be targeted by abusers in their bedrooms. When you download the app users can see all the content without creating an account. Although they are not able to post, like or share anything until they’ve set up an account on the app. By default all accounts are public so anyone on the app can see what your child shares. However, only approved followers can send them messages. Users can like or react to a video, follow an account or send messages to each other. There is the risk that strangers will be able to directly contact children on the app. However, TikTok’s messenger has 2 available privacy settings for the messenger are either OFF or FRIENDS which means a random person cannot start messaging a user unless they are mutually following each other on the platform. There are some hashtags on the platform that may break community guidelines by promoting inappropriate or self-harm behaviour. Although TikTok monitors these trending hashtag to take them down, they rely on their users to make a report to make sure these can be taken down. How To Use Any Safety Features in TikTok? Like Facebook and Instagram, it has a digital element (which is password protected) which alerts users who have been on the app for more than 2 hours. You can set an account to be private so that all videos can only be seen by the creator and no one else on the platform. However, even with a private account, your child’s profile photo, username, and bio are still visible to all users on the platform. You can also manage who can comment or direct message your child on the app. TikTok has created a series of simple videos to explain how to utilise their safety settings to give your child a safer experience on the platform.